We constructed a new 260-metre-long water pipe in Watts Road, Doreen, to improve our ability to reliably supply water to customers in Yan Yean and Doreen. In our water supply system, different water pipes provide water to properties in different water supply zones. A number of properties in Yan Yean and Doreen are supplied via large underground water pipes, and are part of what we call the ‘Red Hill Water Supply Zone’. This project provided a ‘link’ between two existing water pipes. By connecting this missing link, we have greater flexibility to ensure properties in the area are getting its water supply, even when we need to conduct maintenance works on the pipe in the future. Between July and October 2017 our contractor, AHA Constructions, constructed the new 260-metre-long section of pipe between Watts Road and Laurimar Avenue. Minor additional works also occurred within Melbourne Water’s Yan Yean reservoir land, and this involved decommissioning (or ‘retiring’) an ageing water storage tank and some associated pipework. The red line shows where the new water pipe was built. 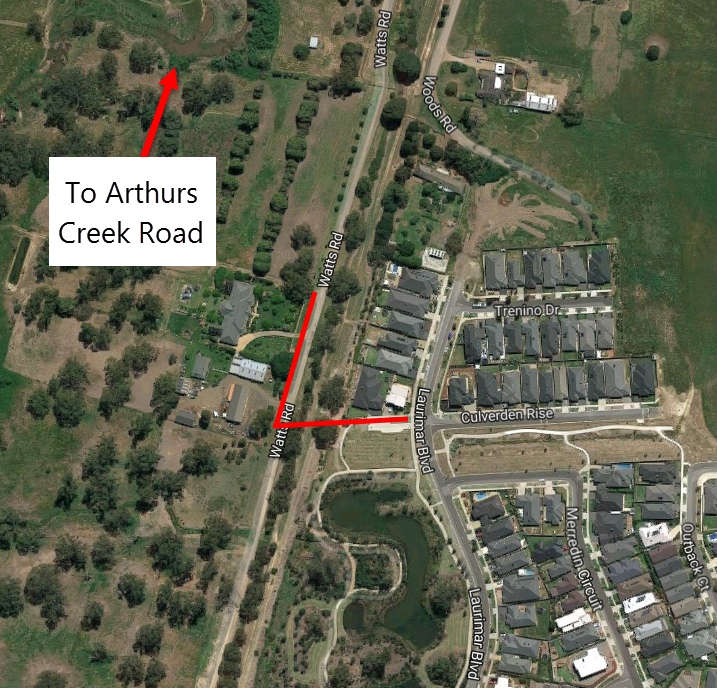 If you have any questions, please call the project manager, Adam Ross, on 9872 1808 or email [email protected].